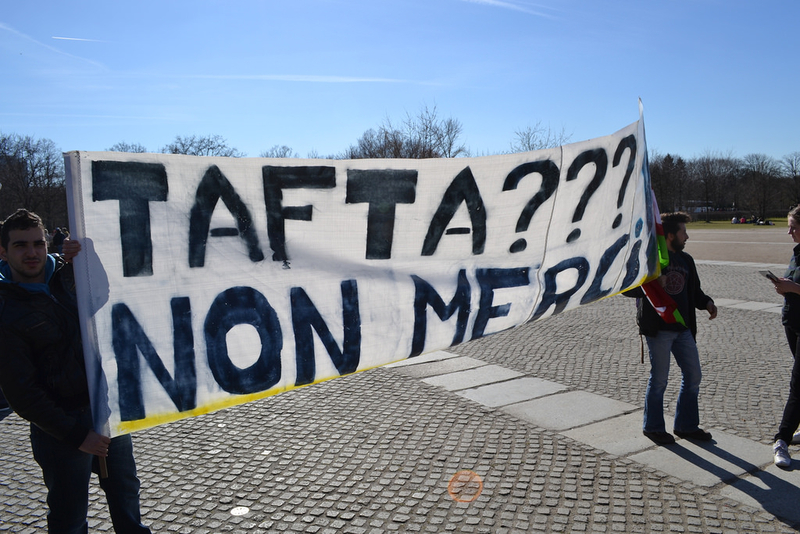 Europeans may be the loudest critics, but Americans have their concerns too over the Transatlantic Trade and Investment Partnership (TTIP), experts said yesterday (27 March) during a conference in Brussels. Speaker, after speaker, the message was the same. We’re not getting the point across. We’ve been written off. So went the opening session of the 2014 Transatlantic Confence, hosted by the American Chamber of Commerce to the European Union (AMCHAM EU) at The Hotel, which President Obama called his home the night before. The subject in question was the controversial trade agreement under negotiation by the European Commission, and the US government. First thrust into international controversy by Guardian columnist George Monbiot, who called the free trade agreement “a full-frontal assault on democracy” in an opinion editorial last November, the proposal has only grown more unpopular over time, generating countless op-eds and conspiracy theories, about what the true political intention of the agreement actually is. Earlier this month (4 March), Germany’s Green Party leaked a copy of a heretofore secret EU position paper on TTIP, highlighting, most significantly, the fact that during the Commission’s consultation period on the agreement, it had excluded the European Parliament in negotiations with the US, as well as members of the European Council. “93% of ‘stakeholder’ meetings were with industry or lobbyists”, instead. Thus, the defensive tone set at the AMCHAM event by its opening speaker, the EU trade commissioner’s head of cabinet, Marc Vanheukelen, who insisted that the Commission had a “democratic mandate” to negotiate and pass TTIP. Though warmly received, the significance of his statement was not lost on the audience. It was a reflection of the kinds of criticisms being made of TTIP. Not just it’s negotiation, but the fact that many of its European critics believe it is meant to subordinate national laws to corporate profitability. Michael Punke, US Ambassador to the WTO, answered such criticisms head-on. TTIP proponents should dispense with technocratic arguments for the agreement, and argue that it provides a solution to the ongoing economic crisis. TTIP will provide a new economic “architecture” for the next half century, he added, one which will benefit Europe and America as a whole, not just their business elites. Contending that it has a regulatory, not ‘de-regulatory’ agenda, Punke aimed directly at those TTIP critics, who, like Green MEP Sven Giegold, believe that it would “take away democracy’s means for social and environmental management”. Offering practical suggestions for TTIP advocacy, Punke stressed that its supporters work harder to reassure the public that the agreement takes into account their concerns, punctuating his recommendations with buzzwords like “participation”, “accountability”, and “transparency”. In answer to those Europeans opposed to the agreement, who view it as another example of the Americans imposing themselves on Europe, Punke told the gathering that it would grant Europeans the same opportunities as Americans. Clearly the ambassador had done his homework. It was a well-informed talk. Economist Joseph Quinlan (see interview, above) was less convinced that there was any convincing left to do. Though TTIP offered an ideal opportunity to advance the same kind of development and prosperity as that of the post-WWII boom, the agreement was “DOA”. Public opposition, in the United States, is just too strong. TTIP is a tough sell, he explained, because Americans “just don’t get trade”. Though Quinlan did not elaborate as to why, the allusion to Tea Party-style, libertarian conservatism, and its highly protectionist outlook, was obvious. Especially to those familiar with the high number of US jobs outsourced to Canada and Mexico, under the North American Free Trade Agreement (NAFTA) passed in 1994. According to the AFL-CIO, NAFTA resulted in the export of 415,000 American jobs to Mexico alone, covering industries ranging from electronic parts (150,000 jobs), to motor vehicle manufacturing (108,000). Given such losses in key industries, it is not surprising that, despite what a hard sell TTIP is in Europe, it is an equally unattractive proposal to many Americans. Despite Quinlan’s prognosis for TTIP, his Transatlantic Economy 2014 report, which was launched at the conference, had nothing but good data about economic ties between Europe and the US. The transatlantic economy creates approximately €5 trillion in sales annually, and underwrites nearly 15 million jobs, in both the United States, and in Europe. Equally reassuring, according to the economist’s report, is the fact that Europe and the US are one another’s main source of foreign investment. Europe has accounted for 56% of US global foreign direct investment over the last fourteen years. European investment in the United States likewise remains high, with over €8 trillion in 2012 alone. Given figures like these, irrespective of TTIP’s difficulties in being accepted, transatlantic trade continues to deepen. Unfortunately, the EU and the US have career neoliberalists sitting at the negotiating table. Large corporate interests will pre-empt any public interests when they are done.